David Walliams is like a magician with words. I would recommend this book to all ages. Delightfully funny with a bit of a spooky twist. 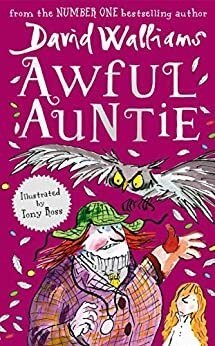 Who knew aunts could be so atrocious? 5.0 out of 5 starsMy daughter loved it. Fabulous story!! My daughter loved it. It was a great book and I definitly reccommend to kids aged 8-12. Now I read more advanced young adult but it's still good to go back to 'holiday reads' as my teacher would say. it was great even though i have mot read it yet. you will enjoy and read it quickly because new books come out soon.